An ache or burning pain in your abdomen. What happens if you don’t treat H.Pylori infection? It can cause gastritis (inflammation of the lining of the stomach), peptic ulcer disease and ultimately stomach cancer. 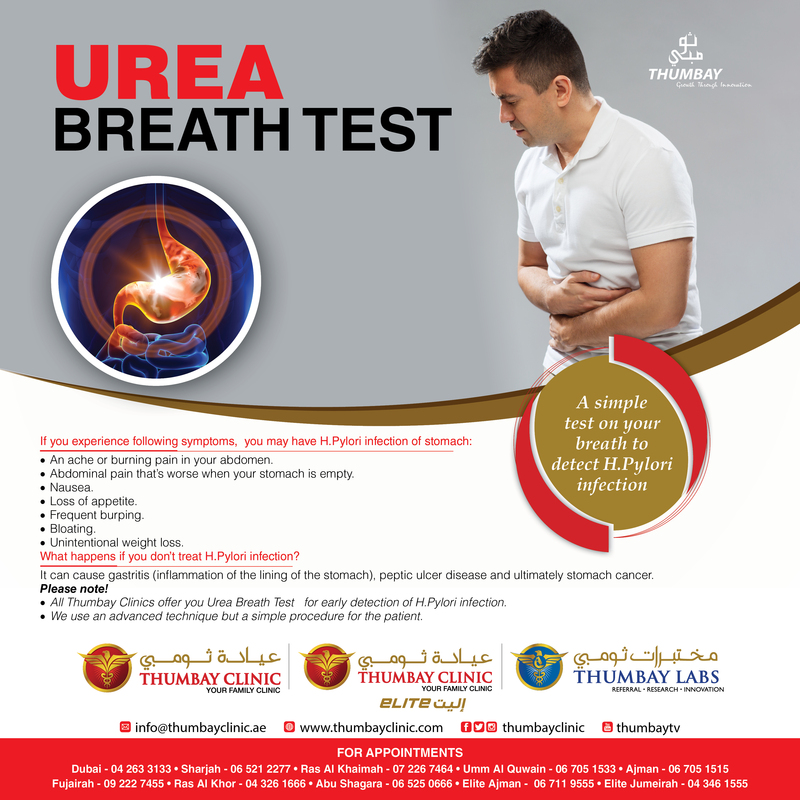 All Thumbay Clinics offer you Urea Breath Test for early detection of H.Pylori infection. We use an advanced technique but a simple procedure for the patient.